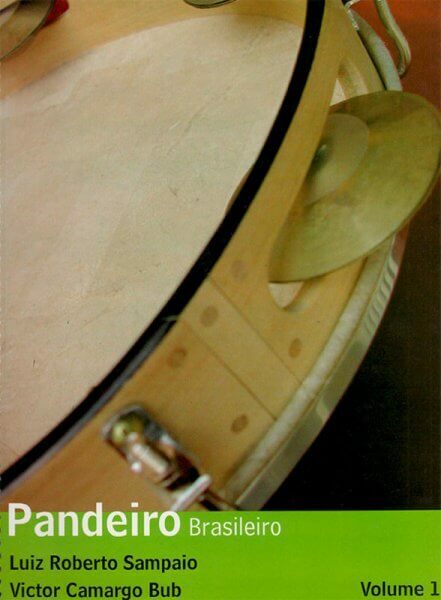 The method "Pandeiro Brasileiro Volume 1”, came about because the authors wanted to write, transmit and divulge Brazilian rhythms. Besides the rhythms, the book counts on some exercises that are to facilitate the student’s technical improvement with the instrument. The varied exercises are: triplets, accents, variations of finger tip and fist, as well as studies of the roll, which can either initiate with the tips of the fingers or the thumb/fist - this way the pupil can achieve satisfactory performance in both forms of playing the instrument. 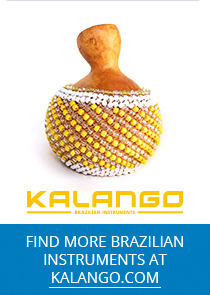 The rhythms are: samba/choro, baião, maracatu, capoeira and frevo, among others: a generous sample the great rhythmic diversity that Brazil possesses, including compound and irregular rhythms, some of which are not very common in the use of the Pandeiro. Thus, the student can develop further the use of the instrument, beyond that which he or she is accustomed to hear and play. The method includes a DVD in five languages (English, French, Spanish, Japanese and Portuguese) and possesses simplified musical writing so that even the student with little fluency in musical theory will find it easy to practice.